The geriatrics specialty was unable to attract enough future doctors to its fellowship programs this year even as more students graduate medical school and the demand for geriatricians grows with the aging population. The most recent data from the National Resident Matching Program show that of the 139 geriatric fellowship programs for the 2018 appointment year, just 35 were filled. Furthermore, the fellowships offered 387 positions for residents yet only 176 were filled. The matching program figures highlight a constant problem in the field of geriatrics: It struggles to attract doctors even as the pool of medical school graduates grows as quickly as the demand for the specialty. This year, 8,753 matches were made out of a pool of 10,778 applicants, the largest in the history of the specialty match program. "Geriatrics has struggled for a while in the context of it not being a not particularly competitive specialty," said Mona Signer, president and CEO of the National Resident Matching Program. Indeed, the match data show that even as the specialty has increased the number of fellowship programs in recent years, it's still hard to fill them. In 2014, there were 109 geriatric fellowship programs, but the specialty was only able to fill 28 of those programs. Many factors are at play for geriatrics' low recruitment numbers but chief among them is that the specialty pays comparatively less than other specialties, said Dr. Gregg Warshaw, adjunct professor of geriatric medicine at University of North Carolina School of Medicine who has studied recruitment of geriatricians. The median annual salary for geriatricians is $189,879, according to Salary.com. That's less than half of what an average orthopedic surgeon or cardiologist earns. And according to the data from the National Resident Matching Program, those specialties attracted many more students to 2018 fellowship programs. For example, cardiovascular disease filled 198 of 203 fellowship programs for 2018. Additionally, the specialty had 1,261 applicants to choose from. Warshaw said geriatricians earn less because Medicare is their primary payer and offers historically lower reimbursement rates than commercial insurance. The pressure to pay off debt from medical school usually motivates new doctors to go into higher-paying specialties, he said. "Finances is clearly a critical issue." Geriatricians also treat a complex patient population. Older adults typically have more comorbid conditions and they require routine follow-up care. "Their care is really around the clock, these aren't just needs you can walk away from. They are complicated patients so for a lot of younger physicians it seems like an overwhelming responsibility," Warshaw said. The need for geriatricians is only expected to grow. There are currently 44 million Medicare beneficiaries and enrollment is expected to rise to 79 million by 2030. The American Geriatrics Society expects about 30% of those individuals will require care from a geriatrician. There are roughly 7,300 certified geriatricians currently practicing in the U.S. and the American Geriatrics Society expects 30,000 geriatricians will be needed by 2030. 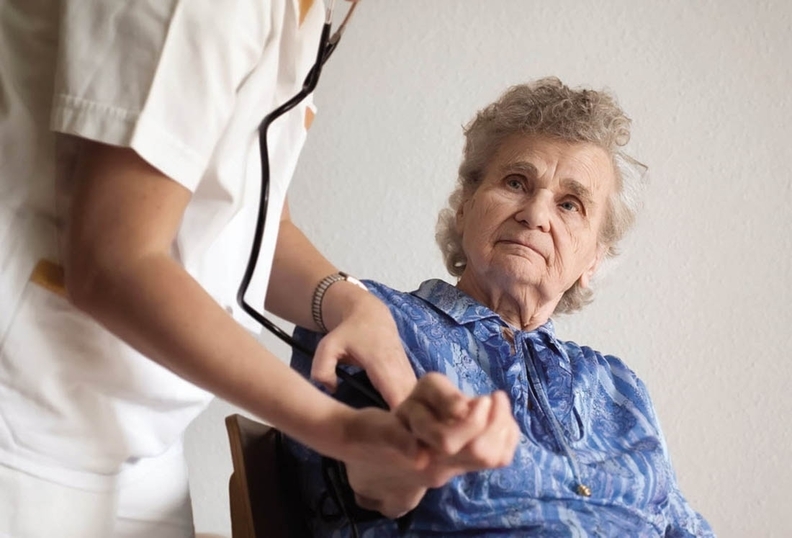 Geriatricians are also being sought out by patients "more and more as a choice" particularly if they struggle with complicated issues like memory loss or frequent falls that a primary care doctor isn't trained to address, Warshaw said. There have been several efforts to attract more students to the specialty. Medical school curricula now includes training on geriatrics so future doctors are exposed to the specialty early on in their career. Medical students who haven't been matched are recruited into the specialty, Warshaw said. The training is still valuable and can be applicable to many different concentrations. Additionally, some states have set up debt relief programs for doctors who agree to treat older patients in communities with the greatest need. Another bright spot is that geriatrics stands to gain from the push to value-based care, Warshaw said. Much of a geriatrician's time is spent on ways to keep frail, medically complex Medicare patients out of the hospital and healthy. That correlates with the push to outcomes-based reimbursement. "If value-based payment happens more nationally at a larger scale, that would probably increase interest in geriatrics," he said. This data doesn't include the number of medical school graduates that were matched into residency training programs. The National Resident Matching Program will release those figures next month, Signer said.